Sadly, the teaching profession in the Philippines seem to have lost its glory. Blame it on low pay (although better compensation and benefits is currently being pushed). Or they’re just being worked to death with extra tasks (serving as school nurse or librarian on top of being an advisory teacher). Plus tons of unnecessary paper work they have to accomplish. And the plain fact that they’re taken for granted and don’t get the respect they deserve. 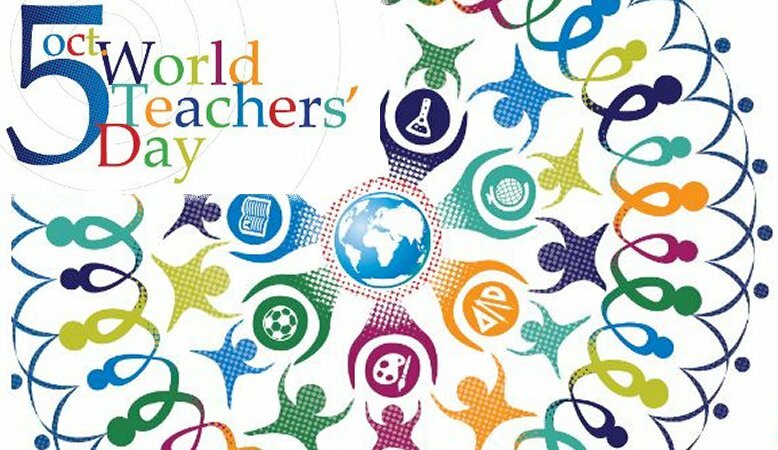 In Thailand, they have the Teacher’s Day and Teacher Appreciation Day where the Thai’s get to show their respect for educators. We sort of have that too but I’m afraid it’s not as genuine as I hope it to be. Today is World Teachers’ Day and as I remember my former teachers, I wish I could bow and offer you flowers, the way the Thais do it. To the cool, everybody’s friend teacher who taught me kindness and compassion. To the teacher who believed in me more than I believed in myself. To the teacher who inspired me to be excellent in everything I do. To the teacher who was a constant encouragement and who always saw the beauty in everything. To the terror teacher who taught me diligence and discipline. To the stand-up teacher who never failed to make me smile. To the teacher who influenced me to be the successful person that I am today.